An Everlast boxing glove signed by Willie Pep. Comes with a Certificate of Authenticity. 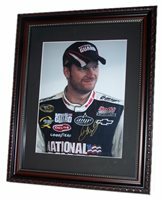 A 8.5 X 11 inch Dale Earnhardt Jr signed photograph matted in a 11 X 14 inch frame. A Wilson NFL football signed by former Green Bay Packers quarterback and coach Bart Starr. Comes with a Certificate of Authenticity. 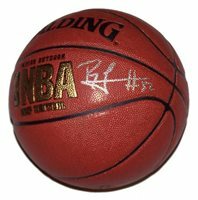 A Wilson NFL football signed by former running back Herschel Walker. Comes with a Certificate of Authenticity. 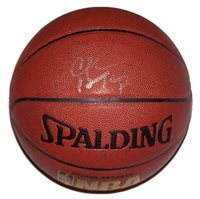 A Spalding NBA basketball signed by Kobe Bryant, Pau Gasol, Trevor Ariza, Shannon Brown, Andrew Bynum, Jordan Farmar, Derek Fisher, Dj Mbenga, Lamar Odom, Josh Powell, Sasha Vujacic and Luke Walton of the Los Angeles Lakers. Comes with a Certificate of Authenticity. 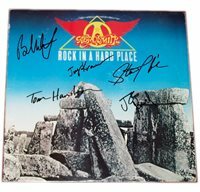 A black strat style guitar signed by Elton John. Comes with a Certificate of Authenticity. A green fender style electric guitar signed by Billie Joe Armstrong, Mike Dirt and Tree Cool of punk band Green Day. Comes with a Certificate of Authenticity. 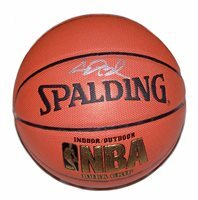 A Spalding NBA basketball signed by Grant Hill of the Phoenix Suns. Comes with a Certificate of Authenticity. 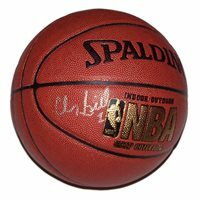 A Spalding NBA basketball signed by Chauncey Billups of the Denver Nuggets. Comes with a Certificate of Authenticity. A Wilson NFL football signed by Jeremy Shockey of the New Orleans Saints. Comes with a Certificate of Authenticity. 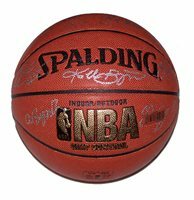 A Spalding NBA basketball signed by Blake Griffin of the Los Angeles Clippers. Comes with a Certificate of Authenticity. A Spalding NBA basketball signed by Kevin McHale, formerly of the Boston Celtics. Comes with a Certificate of Authenticity. An Everlast boxing glove signed by Marvin Hagler. Comes with a Certificate of Authenticity. 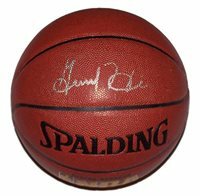 A Spalding NBA basketball signed by Julius "Dr. J." Erving, formerly of the Philadelphia 76ers. Comes with a Certificate of Authenticity. 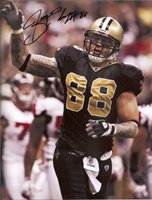 An 8 1/2 X 11 incho photo signed by Jeremy Shockey of the New Orleans Saints. Comes with a Certificate of Authenticity. A black electric guitar signed by Garth Brooks. Comes with a Certificate of Authenticity.